The original Hustle Butter Deluxe is luxurious and rich. Used as a tattooing glide, Tattoo Aftercare or just as a daily moisturizer its loved by tattoo artists worldwide, and especially by their clients. Today. Tomorrow. Forever Hustle Butter Deluxe® is a 100% vegan replacement for all petroleum-based products used as tattoo lubricants BEFORE, DURING and AFTER the tattoo process.To tattoo and moisturize.Made from Shea, mango and Aloe butters, it has many benefits:It will NOT remove stencils. NO more petroleum build up or clogged tubes. Skin remains workable: no more over worked highlights, yellows & whites go in the first time, color never went in so easy. Used in place of petroleum based products, Hustle Butter Deluxe® gives results that last a LIFETIME.Cruelty-free & certified vegan Petroleum free, Paraben free. All natural. Display Case With 50 .25-oz. 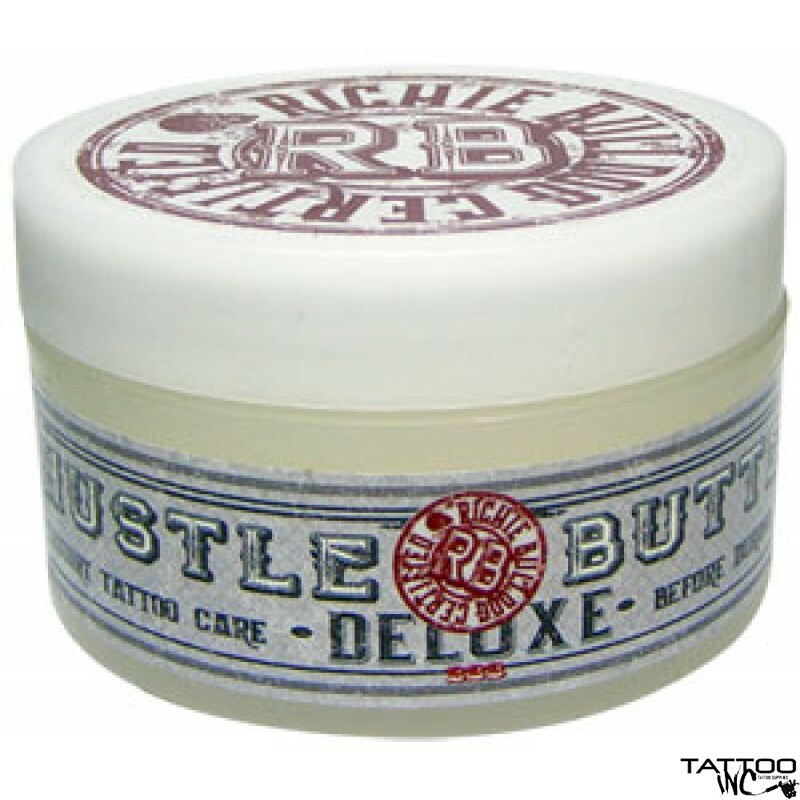 Packets of Richie Bulldog Certified Hustle Butter DeluxeRichie Bul..